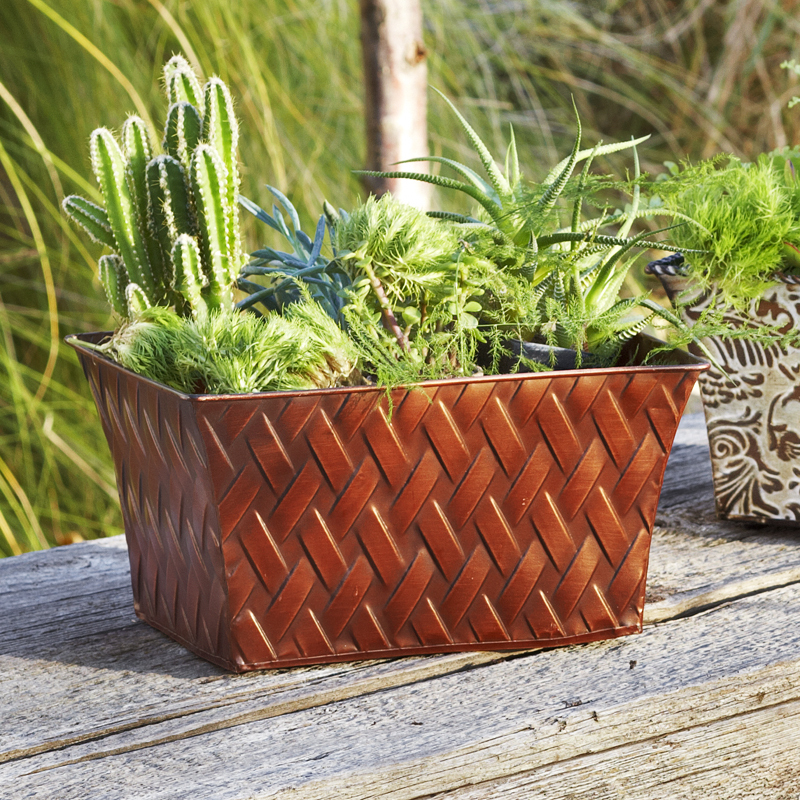 Copper Metal Braided - Large Basket Container The Lucky Clover Trading Co. The look on this large braided rectangular copper brushed metal container from the Xavier Collection may remind you of a shiny penny. Use this basket in the family room to store the remote control(s). 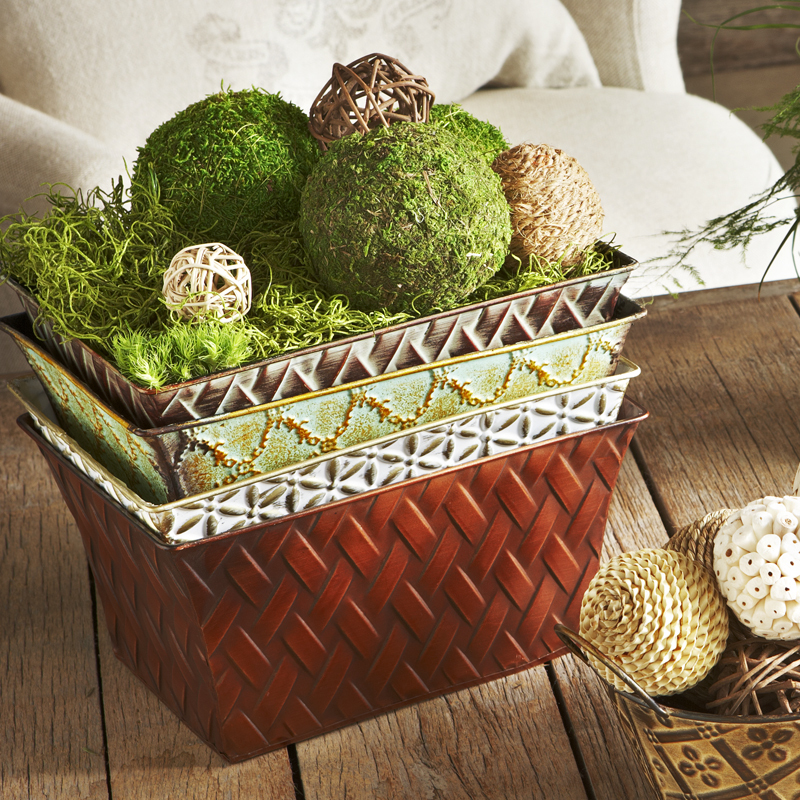 Create a home decor piece and add decorative items. For a special occasion, purchase fresh flowers and create a floral arrangement. Made out of metal. The service was very good - delivery was prompt. The items are exactly as represented and what we were expecting. They are perfect for our purpose. This is the first time we have ordered any metal containers from the LCTC. It definitely elicited a "Wow" from everyone in our office. In addition to the great look, the light weight of the product was an extra bonus. We use these containers as "gift baskets" and our customers won't have to pay a fortune for shipping. More pretty copper tones for the kitchen. Blends in quite well with antique copper AND oil rubbed bronze. Very pleased.